Marilyn Drobenaire, CPA, brings a broad array of skills and knowledge to her clientele, having gained expertise in the areas of auditing, banking, forensic accounting, wealth management, tax preparation, and human resources. 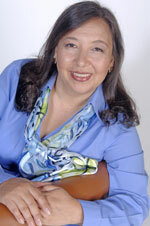 Marilyn has served SF Bay businesses, individuals and their families in her own businesses for over 25 years. She has helped startup businesses, small to mid-sized corporations, and non-profit organizations attract investors, train in-house personnel, develop and organize financial systems, and make budgetary decisions. Marilyn is passionate about giving back to the community. She has spoken at various events focused on empowering small business owners. She feels strongly about providing entrepreneurs with the opportunity to learn about the financial needs of running a business and has helped many small business owners push their ideas to the next level. Marilyn is a member of the American Institute of Certified Public Accountants and the California Society of Certified Public Accountants. She holds a Bachelor of Science degree in Economics and Business Administration from Saint Mary’s College in Moraga, California. Services are tailored to meet the needs of her clientele. Marilyn works with a select group of wealthy individuals with their business and personal financial needs. These often include projects that lawyers, tax preparers, estate planners and other financial professionals either do not offer, or are cost prohibitive. Such projects include wrapping up the accounts left behind from trust accounts, claiming encheated accounts, and other sophisticated tasks. Marilyn’s broad array of knowledge makes her well-suited to pinpoint what needs to be done. Please give us a brief topic for your message.